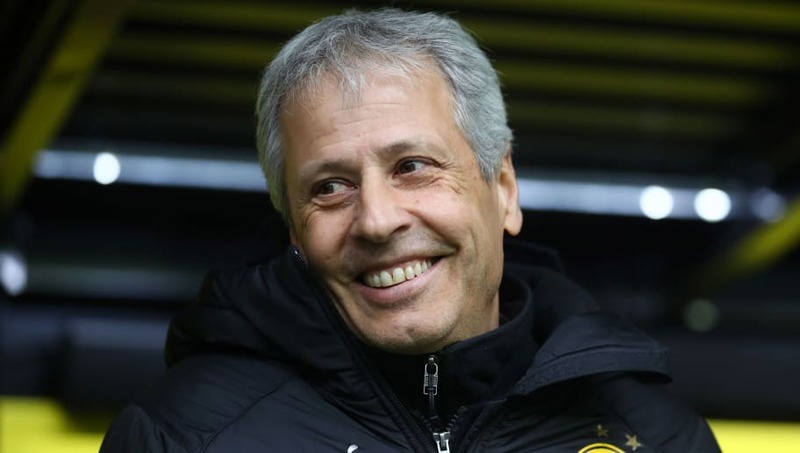 Borussia Dortmund manager Lucien Favre was full of praise for his side following their 3-1 win over VfB Stuttgart, insisting that the Black and Yellows had to fight as Saturday's visitors 'parked the bus' at the Westfalenstadion. Favre's side couldn't find their cutting edge in the first half but were handed the lead on a plate when former Borussia Dortmund midfielder Gonzalo Castro fouled Jadon Sancho in the penalty area, allowing Marco Reus to fire home from 12 yards. Marc-Oliver Kempf brought Stuttgart back on level terms but that kicked Borussia Dortmund into gear, with Paco Alcácer and Christian Pulisic netting late on to ensure all three points stayed at the Westfalendation this weekend. "We dominated the match and ended up with 75% possession. That's an incredible amount," Favre said, quoted by the club's official website. "We managed to create a few chances in the first half. "After taking a 1-0 lead we wastefully conceded a goal. The team reacted really well though, they one hundred percent wanted to get the win. It was an important win, and a deserved one overall, although the opposition played well and were very well organised. "Stuttgart very much parked the bus in front of their own goal. It was really hard picking out the gaps. We tried absolutely everything. Stuttgart really had to chase after us and that's what gave us our chance. Overall it was a deserved win." Despite picking up three points, Borussia Dortmund dropped down into second place in the Bundesliga table following Bayern Munich's 6-0 rout at home to VfL Wolfsburg.